MUMBAI: After many false starts, the Maharashtra government and Foxconn are likely to sign a deal under which the world’s biggest contract manufacturer of consumer electronics will finally set up a manufacturing hub in the state. Executives of Taiwan-based Foxconn held meetings with state government officials on July 4 in Nagpur and subsequently went on to meet Maharashtra chief minister Devendra Fadnavis, ET has learnt. 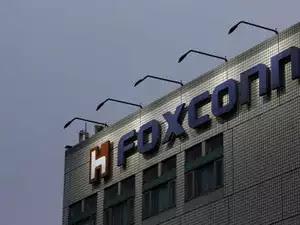 Foxconn, the assembler of iPhones, has told the state that its pla ..
Sources said Gou is slated to visit India next month, when a formal agreement may be clinched. Signing a deal with Foxconn would be a huge boost for the state government and Fadnavis. When the Maharashtra CM signed an MOU with Gou in 2005 for the manufacturing facility, it was considered a coup, given that other Indian states were also trying to attract the company. The state government has wooed Foxconn after the initial MOU was signed. Upon learning that Foxconn wanted a waiv ..